Over 95% of American Golden Retriever owners are forgetting about Golden Retriever insurance, possibly THE most important product you need; read on to find out more…. On what it took to save his dog after pulling him from a river where he went through thin ice. Goldens are more than just an animal; they are members of the family. Like members of your family, they deserve proper health care. Golden Retriever insurance can cost as little as $35 per month on a comprehensive plan. Emergency surgeries or lifesaving cancer treatments can easily run into thousands of dollars. With veterinary costs rising every year, those numbers will get higher. Not only that, but it’s impossible to plan for unexpected illnesses or injuries. Ailments do not always occur at the end of your pet’s life; emergency medical care can be needed at any time. 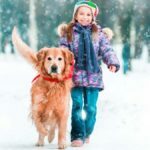 Obtaining Golden Retriever pet insurance after the diagnosis of a chronic condition makes it virtually impossible to be covered for that pre-existing condition. As dogs age, the cost of a Golden Retriever insurance plan gets more expensive and coverage becomes limited. This is why it is important to begin insuring your dog as a puppy. Long term, comprehensive coverage is best so that your Golden puppy is covered for any recurring conditions as they age. Pet insurance for Golden Retrievers is most definitely worth the cost so take the time to obtain a quote. Your Golden puppy is naturally curious and can be susceptible to accidents; broken glass, an attack by another dog, mishaps with cars, and swallowing poisonous substances. A visit to the vet for surgery or any other emergency can range from hundreds up to thousands of dollars in expenses. Just like humans a Golden puppy will need to get checkups, requiring several routine visits to the vet during their first year. There are Golden Retriever pet insurance policies that have wellness plans for routine checkups including costs of vaccinations, blood tests, physical examinations, and even dental exams. A puppy can get sick more easily than adults because of their underdeveloped immune system. Protect them against illnesses by signing them up with Golden Retriever dog insurance while they’re young. Owners can relax and still be aware that if something happens to their puppy and throughout their lives they will have the capacity to pay for medical treatment. Cancer was the cause of death for 61.4% of American Goldens according to a 1998 health study conducted by the Golden Retriever Club of America, making it the breed’s biggest killer. An initial check up can cost around $200 and chemotherapy can go over $2,000 per session over a period of around 3 to 6 months. Radiation therapy could also cost up to $6,000. This is a hereditary problem among Golden Retrievers. Although most reputable breeders screen their puppies for the disorders, hip and elbow dysplasia afflict one-fifth of dogs. If the parents of your Golden puppy had this disease, your pet is also very likely to get hip dysplasia. A typical surgery to correct this can cost up to $5,000. This is an eye condition where cloudy spots cover the lens, causing blindness. Surgery for this particular treatment may cost around $2,000 per eye. Add the medications and follow-up checkups and the total expense can go up to at least $10,000 — especially if you need to treat both eyes. Golden Retrievers can suffer from skin diseases; the most prevalent skin problem is allergies (a common allergy is to fleas!) leading to acute moist dermatitis or sores. 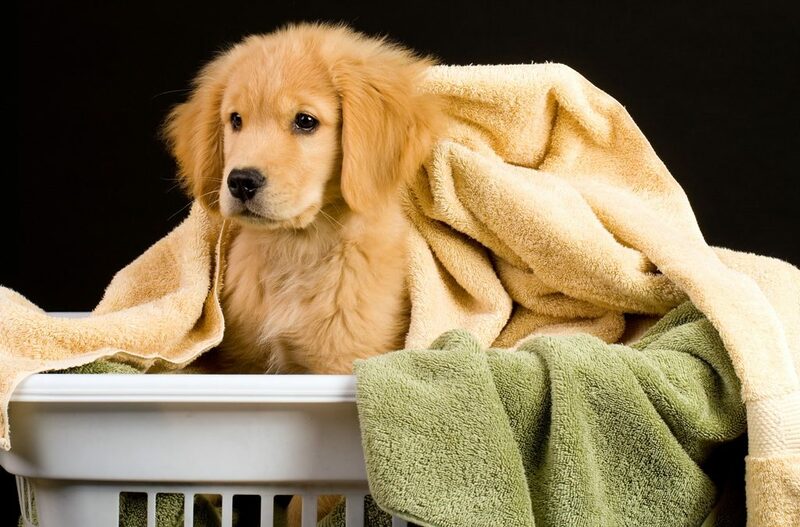 If your Golden Retriever puppy is diagnosed with a chronic condition like allergies you’ll have piece of mind with a comprehensive insurance plan that the condition is covered for life. Deciding on the right Golden Retriever insurance company from the start is extremely important. If you choose the wrong plan and go to make a claim, you could find your Golden Retrievers illness isn’t covered. You can end up paying the entire bill and that pre-existing condition illness would then be excluded if you took a different policy with a new insurance company. Some policies have full or partial limitations on genetic and hereditary illnesses, leaving your Golden without coverage for the most common illnesses they are likely to suffer. No two insurance companies offer the same pet insurance, that’s why it’s a good idea to do your homework. Ask questions to find out what pet insurance policy would be the best for you and your Golden Retriever. You must check and read the policy very carefully, be sure you know what your dog is not covered for to avoid a nasty surprise if you make a claim. This pet insurance policy for your Golden Retriever has a basic coverage costing around $10 per month but does not cover any pet illness that is not due to an accident. This Golden Retriever insurance plan covers many kinds of illnesses like allergies, ear infections and sometimes cancer. This policy would not cover a hereditary condition like hip dysplasia. There are quite a few different versions of this sort of policy; some policies have a limit to the number of illnesses you can make a claim for (pay out per condition) and a cap to the total amount able to be claimed. Some insurance companies will only pay up to 80% of the claim. Be careful if you have to renew the policy after a certain time period as any recently diagnosed chronic illness will then be considered a pre-existing condition and would not be covered after the policy is renewed. It is important to read the Golden Retriever dog insurance policy carefully to find out what you are not covered for. This policy is the most comprehensive insurance type but it can also be the most costly, from around $35 per month. It’s a great choice if you’re looking for advanced coverage with higher benefit limits. Comprehensive Golden Retriever insurance will generally cover accidents, illnesses, hereditary and congenital conditions, alternative therapies and behavioral issues. There may still be limits to the amount claimed in a given year and it is still important to know what you are not covered for. Golden Retriever insurance should be considered a necessity for those of us who love our animals and feel the responsibility to care for them. Providing the correct care for your Golden will keep them as healthy as possible. Health problems for your Golden puppy and during their adult lives can be very expensive, purebred Golden Retrievers can suffer genetic and hereditary chronic illnesses. Once a condition is diagnosed it is considered a pre-existing condition by an insurance company and is difficult to be covered for in a new policy. As with any pet insurance policy, be sure to read the fine print that accompanies each quote, this way you won’t be surprised at what’s covered and what’s excluded when it comes time to file a claim. It is crucial to have a suitable Golden Retriever insurance policy for your peace of mind and the future lifetime of your beloved pet.